Junaid Jamshed Spring / Summer Lawn Collection 2013 has been launched and is available online. Junaid Jamshed a.k.a J.J is fashion clothing brand for men and women by former singer Junaid Jamshed who is running chain of outlets all across the country where they are offering exclusive high quality designer wear and unique range of products for men, women & kids. Junaid Jamshed fashion brand was founded in 2002 and within a very short span of time, they gain immense popularity and reach because of their quality work in fashion industry. 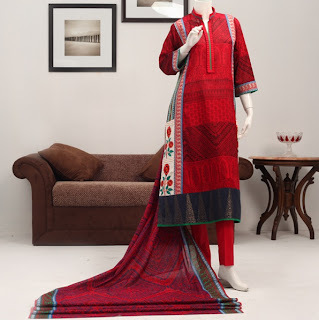 Now they are among the TOP fashion brands in Pakistan offering wide variety for seasonal and occasional wear dresses. Lawn season is starting in Pakistan so Pakistani designers have already starting launching their lawn products for their customers. Summer is the longest season of the year so girls have to do lots of shopping for this season. At the start of summer season, markets gets full and lawn craze gets on its peak, it always happens Pakistan. Girls always looks of different varieties and new styles so they can make themselves according to their wish. 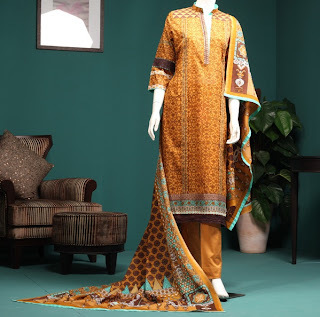 It is also fact that lawn shopping never ends in Summer season and it continuous throughout which gives lot of business to fashion designers and it makes fashion designers to do more work and show their creativity which also boost fashion industry, this is the reason Pakistani fashion industry is considered as one of the fastest growing fashion industries in the world.